The co-chairman of Labour's defence review, Ken Livingstone, has said it does not matter whether the UK is in Nato as the Cold War is "over". The former London Mayor told the BBC's Daily Politics Nato membership would be one of the issues his review would probably be looking at. Labour put out a statement afterwards saying it was not part of the review. Nato is a military alliance between the US and European nations founded in 1949 to counter any Soviet Union threat. 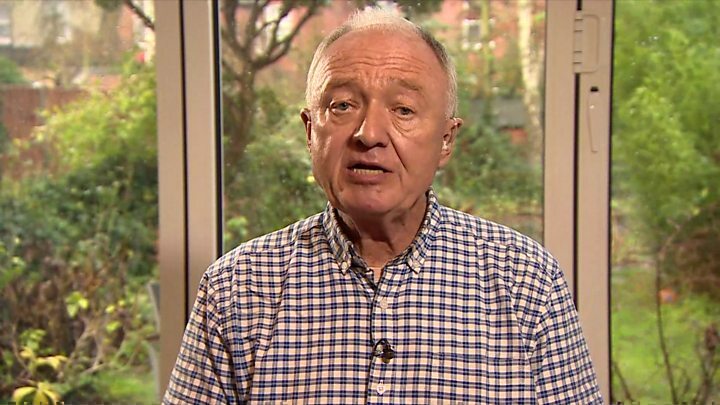 In his Daily Politics interview, Mr Livingstone questioned the 29 nation organisation's role in the modern world, saying: "My main view on this is that it doesn't really matter whether you're in Nato or not terribly much because the Cold War is over. "If we're to stay in Nato, the question is what's its role? Invading more countries in the Middle East? I'm not in favour of that." He denied he had already made up his mind about replacing Britain's Trident nuclear weapons, one of the main issues the review will be looking at. He told the programme he could back Trident renewal if someone could persuade him it was vital for the UK's security. But he said America and Russia had "vast arsenals" when it came to nuclear weapons while the UK and France were just "side shows". He said it would be "suicide" to launch an attack on Russia, saying the UK only had "enough to start a war, not to win a war". Conservative MP Julian Lewis, chairman of the defence select committee, said Mr Livingstone was wrong to call the UK a "side show" when it came to amount of nuclear weapons it possessed. He said "we can inflict unacceptable damage" on other countries. He denied renewing Trident would make the UK part of the nuclear arms race, saying the UK had the minimum amount to protect its security.